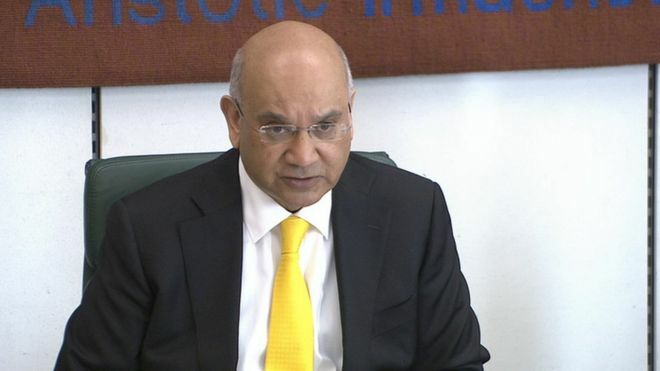 Keith Vaz 'paid for male escorts', Sunday Mirror claims | Welcome to Dare Lasisi's blog! Labour MP Keith Vaz paid for the services of male escorts, the Sunday Mirror has reported. The married father-of-two paid for the men to visit him one evening last month at a flat he owns in London, it claims. The Leicester East MP, who is chairman of the Home Affairs Select Committee which monitors crime and drugs policy, said he was referring the claims to his solicitor and would be seeking advice. Several newspapers say Mr Vaz, 59, is stepping down as committee chairman. However, Mr Vaz did not comment on those reports in a statement to the BBC. He said: "It is deeply disturbing that a national newspaper should have paid individuals to have acted in this way. "I have referred these allegations to my solicitor Mark Stephens of Howard Kennedy who will consider them carefully and advise me accordingly." A Labour Party spokesman said: "Keith Vaz has issued a statement on this matter. As with all departmental select committees, Keith was elected to the chair of the Home Affairs Select Committee by the House of Commons, and his position is a matter for him and the House." He was Britain's Minister for Europe under Tony Blair and said the vote to leave the EU was a "catastrophe"
According to the Sunday Mirror, Mr Vaz's meeting with two male escorts included a discussion about using the party drug Poppers. Mr Vaz had opposed government attempts to criminalise the drug. Ministers later announced they would remain within the law. His committee is also currently overseeing a review of the UK's prostitution laws. In response to Mr Vaz's statement criticising the Sunday Mirror, a spokeswoman for the newspaper said the company did not want to be drawn into an argument on the details but said the paper "stands by the story". When asked about the allegations Diane Abbott, shadow health secretary, said: "I've known Keith for over 30 years, I think this must be a dreadful time for him and his family - his wife and his two children - and I'd rather not comment." John Whittingdale, former Conservative Culture Secretary said it was right for Mr Vaz to temporarily step aside. "Keith Vaz, as I understand it, has said he will stand aside from the chairmanship and given the areas for which the committee is responsible, that does seem to me to be a sensible course of action."